Any alternative houseboat energy choices available? I am wondering if a source is available for alternative energy houseboat plans? 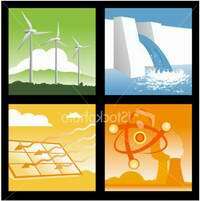 I want to be completely off the grid using solar, hydro, or wind energies. I'm curious to any and all input. Thanks, James. Well James, you may find the following articles to be of interest to you regarding green or alternative houseboat power. Lastly, hopefully some of our readers will share and post comments about their houseboat alternative energy experiences. If you're still looking for more information, you can use our search box, found at the top right hand corner. Comments for Houseboat Alternative Energy choices? Jon, please send me an email at davefreudenberger@gmail.com I would love to hire you for some plans I have on a houseboat prodject in Lake Powell. Interested to discuss feasibility of business opportunity. I have a small and compact vertical axis turbine that can generate electricity from all 3 renewable sources - Sun, wind, water stream. We can configure the same turbine as micro wind turbine, Hybrid turbine (by placing flexible PV panels on top surface), and micro Hydro generation. Jon, we want to add solar panels to our 50' boatel that we use on Powell. We are converting swamp cooler to 12V DC motor. Right now, have to use generator for water cooler and microwave and 2 hrs/day to charge battery bank (4 golf cart batteries). Want to put the solar panels on frame we'll build on top of upper deck canvas/frame canopy. Also curious out wind power since there is usually wind blowing at Powell, but have heard it is noisy which is what we're trying to get away from with generator. Please post your phone number or email address if you're interested in talking with us about this. I installed solar on my small houseboat last year and the 100w panel that I have on the roof is excellent to keep my basic systems powered up. They tend to work better on sunny days compared to cloudy days, but this could be due to the quality of the panels. I would definitely install them on my next boat. Hello Ian, I am a boat designer in Phoenix, AZ. I have done extensive simulations for non-combustion energy supply specifically for houseboats and other water craft. I would love the opportunity to talk with you and anyone else that is interested in this work. I offer complete design services for all houseboat systems including mechanical, plumbing, structural and electrical. I also have access to national laboratory data that I use for simulations and life-cycle reliability assessment. I have worked with most of the larger houseboat builders, so I can manage both small part fabrication and the complete build. I do not publish (web or other) my designs as they often find their way to the marketplace without my consent, but I am always willing to share and talk with interested parties and potential clients.